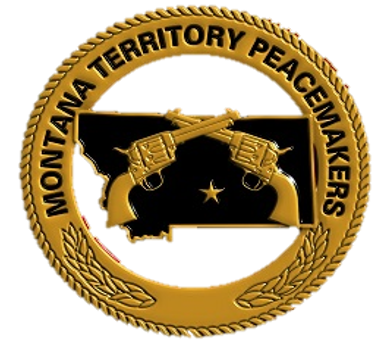 Montana Territory Peacemakers is a Cowboy Action Shooting club in Billings, Montana. The Club holds its monthly matches at the Billings Rod and Gun Club which is located at 2931 Rod and Gun Club Road Billings, Montana. For more information about the Montana Territory Peacemakers, visit the club web site at montanaterritorypeacemakers.org or email the club at mtpeacemakers@gmail.com. The web site includes the calendar of events, information on cowboy action shooting, and club events. The club is affiliated with the Single Action Shooting Society (SASS). More information on SASS and cowboy action shooting is available at the SASS web site sassnet.com. More information on the Billings Rod and Gun Club can be found at their web site: http://billingsrodandgun.org/.